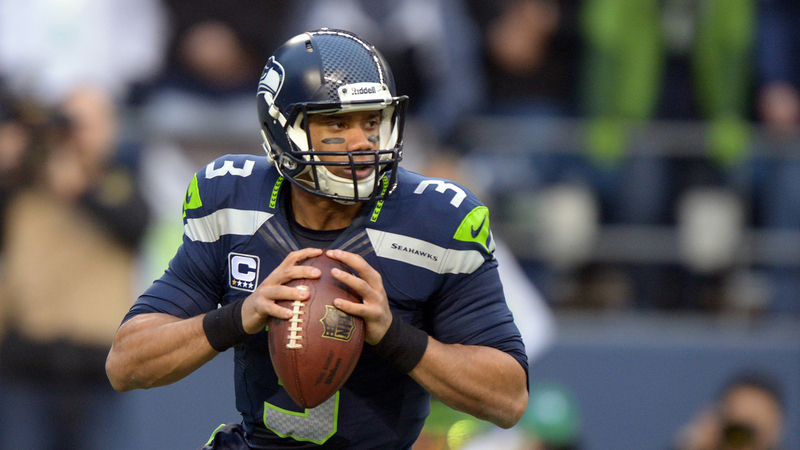 The chances of Super Bowl quarterback Russell Wilson ever playing for the Texas Rangers are slim and none. 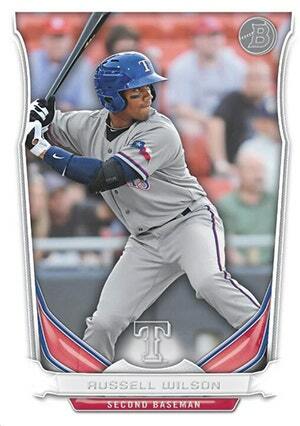 But thanks the Topps baseball card company, at least Rangers fans will have an idea of what Wilson would look like in a Rangers jersey starting in May. That’s when the company will release a Wilson baseball card as part of its Bowman brand, which is usually reserved for prospects. Wilson is in a Rangers uniform in the card, which won’t be part of the base product but will be a limited edition card. "There are two reasons we decided to put him in," said Marc Stephens, the marketing manager for Topps. "First he switched teams. Plus, for the same reason the Rangers picked him up, he’s an exciting story, a big story. As soon as he switched teams we wanted a prospect card of him. It seemed like a good idea considering the success he’s had. We wanted to showcase a dual-sport athlete." This won’t be Wilson’s rookie baseball card either. Topps released a Wilson card in 2010 when he was with the Rockies as part of its draft and prospects set. He hasn’t appeared in a baseball card series for the company since then but has several football cards available. The Rangers acquired Wilson from the Rockies in December in the Rule 5 draft. The club expects Wilson to make an appearance in spring training and hope to utilize his leadership skills.